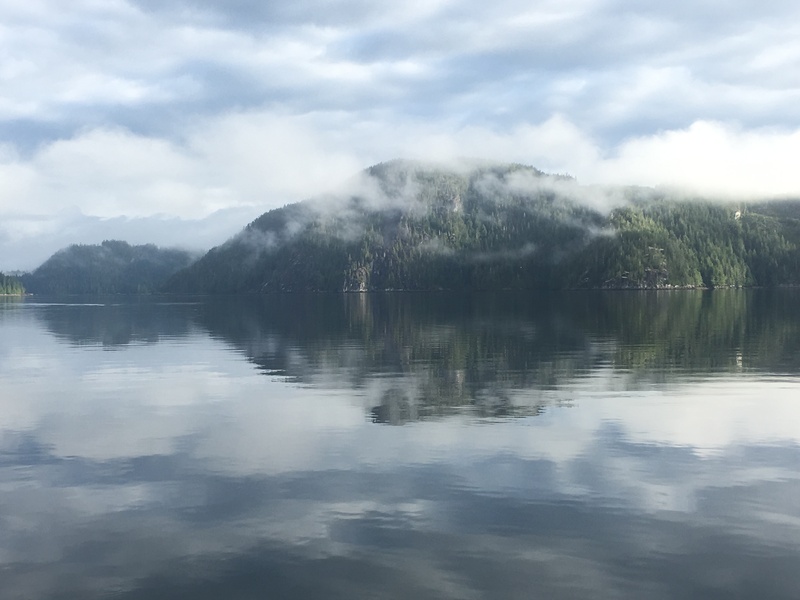 Sullivan Bay is our stop for today. 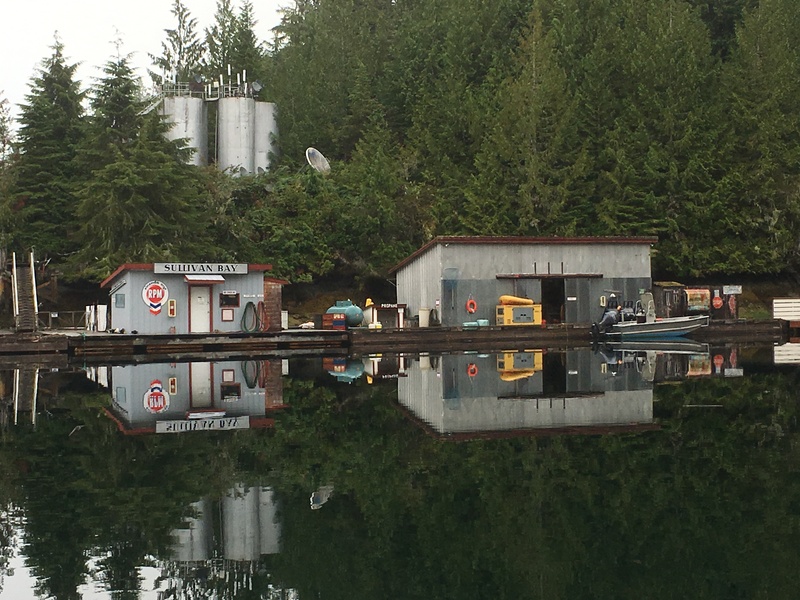 When calling in on the VHF to get docking instructions, their last comment is “ Welcome to Sullivan Bay”. What a wonderful comment to hear upon arrival. I have to say we have experienced this welcome throughout Canada. Sullivan Bay is another one of those unique marinas of the Broughtons. 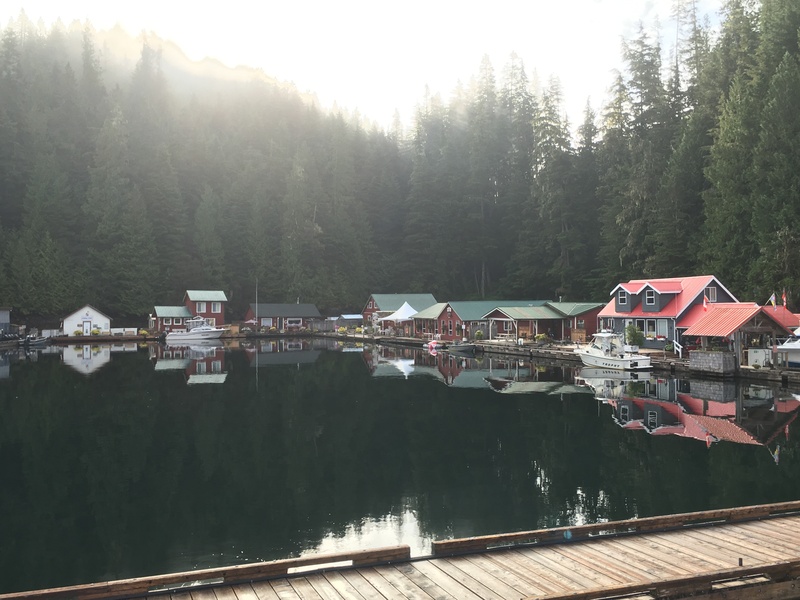 This is a completely floating community with no land connection. 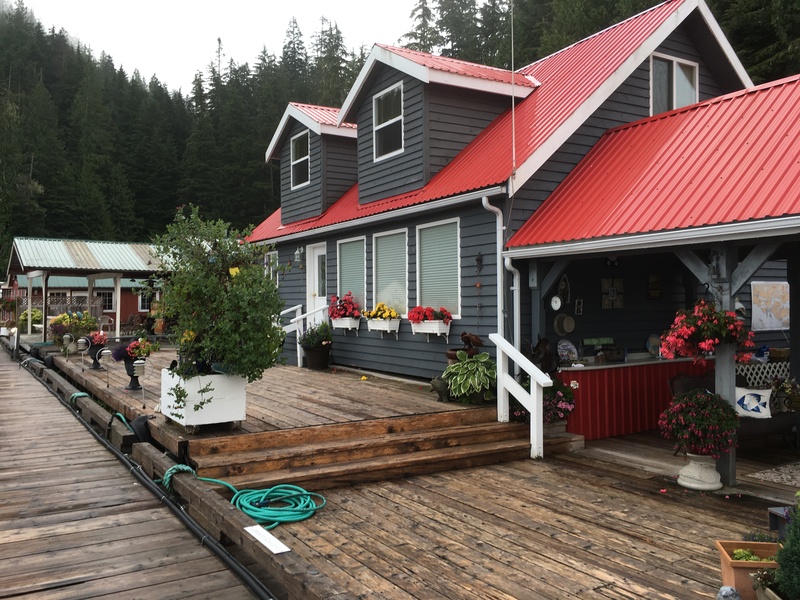 Anchored in 160 feet of water, there are 14 brightly colored float houses anchored to six long floating docks. Out and back you can get in a two mile walk. Each dock is given a street name. 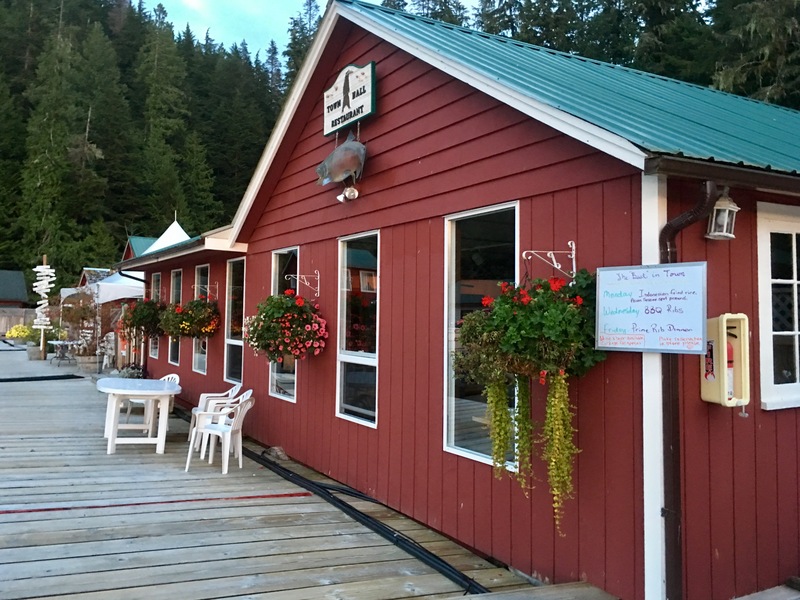 The restaurant which is open three days a week is located on Main Street in the Town Hall. Wednesday night is rib night and one of the main reasons we are here. 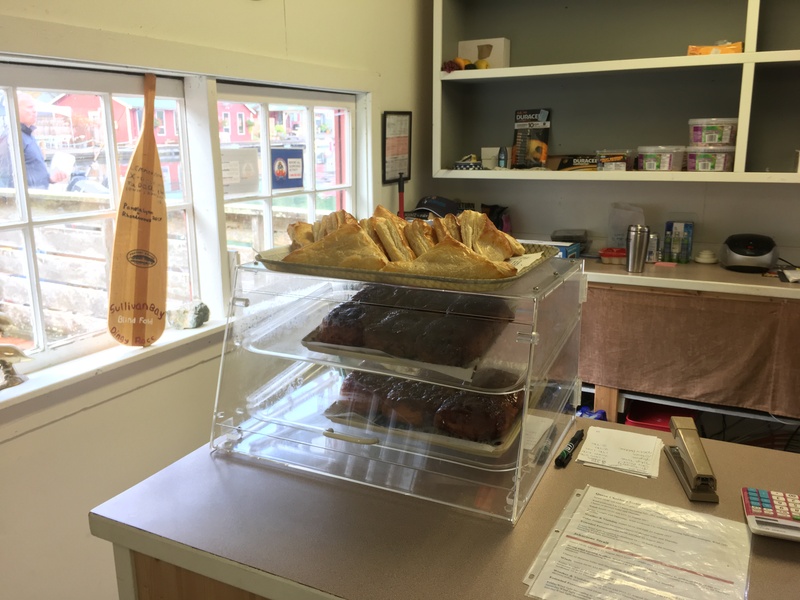 There is a small well stocked general store where during check in you place your order for next morning 9:00am hot fresh homemade cinnamon buns and apple turnovers. We order three cinnamon rolls and two apple turnovers. 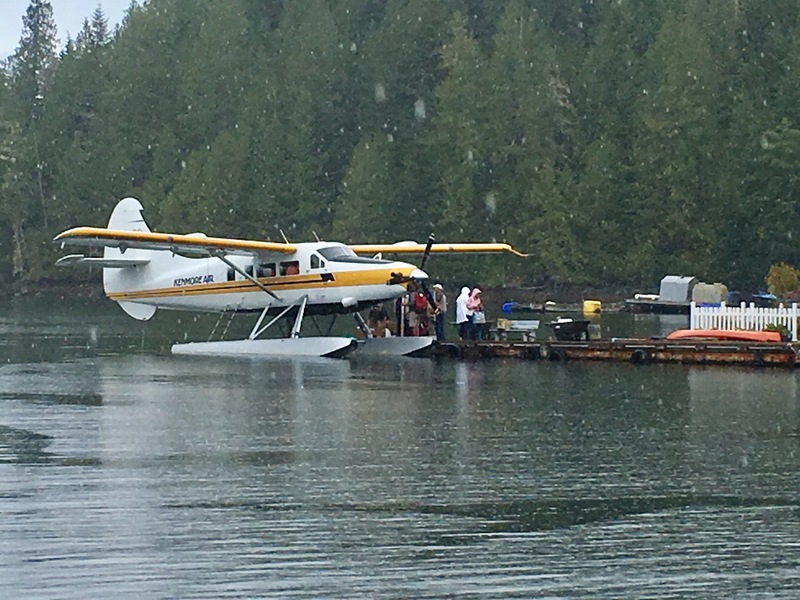 There is once weekly float plane service from Vancouver Island. One residence even has their own float plane ramp and another has a helicopter pad on their roof. The village is only occupied during the summer. Everything is winterized starting in September and some of the docks and homes are moved to the inner harbor. There is a care taker that stays all year. This is truly a unique stop. These folks are livening off the grid. The ribs were fantastic and cinnamon rolls and turnovers were even better. I am sure this will become a designated stop for us in the coming years. This entry was posted on September 7, 2017 at 7:17 pm. You can follow any responses to this entry through the RSS 2.0 feed. You can leave a response, or trackback from your own site.